Securing a highly sought after training contract with a law firm means the sky’s the limit for legal eagle Temujin Erdene-Ochir. The 20-year-old fought off tough competition to secure a prestigious training contract with leading law firm, Curzon Green Solicitors. He is graduating from the University of Wolverhampton’s Faculty of Social Sciences with a First Class LLB (Hons). 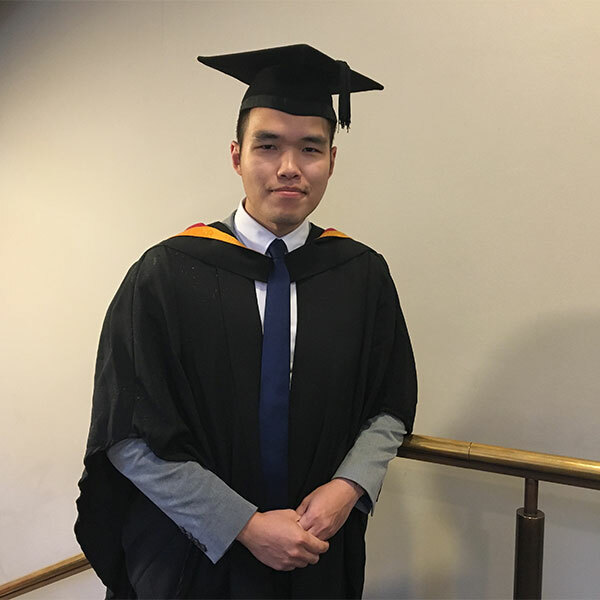 Temujin decided to apply to Wolverhampton after attending a university fair in Mongolia and being impressed by the family feel described by the University’s representative. He explains: “As an international student it was very hard to leave my country, family and friends for the first time. I had to become accustomed to the different culture and custom in the UK. In the end, this was one of the best experiences I have ever had. I truly found myself from living alone and being in an unfamiliar environment. Temujin has these words of wisdom for students following in his footsteps: “As cliché as it sounds, never give up on what you want. Although it may seem improbable to achieve, nothing is impossible if you really work hard for it. “In my second year I did not believe that I would be able to get a first in my studies and was expecting a 2:1, but I studied extremely hard in my third year and was able to get very good results. I did not believe I could get a training contract and mostly applied for paralegal and administrator positions, but I was able to find work experience at a firm and go on from there.